Сегондя в нашей постоянной рубреке "тоне веленмс в гробу перевернулсо" дедушка чарлей уведомляент что НЛК преложетсо к его обжендаемому в следущем гонду ольтбому! Лудше бы конечно пенсеонера но ХМ взяле уже о то но плостинке еще вроде как форел с тимбергейком обжедаютсо =\. 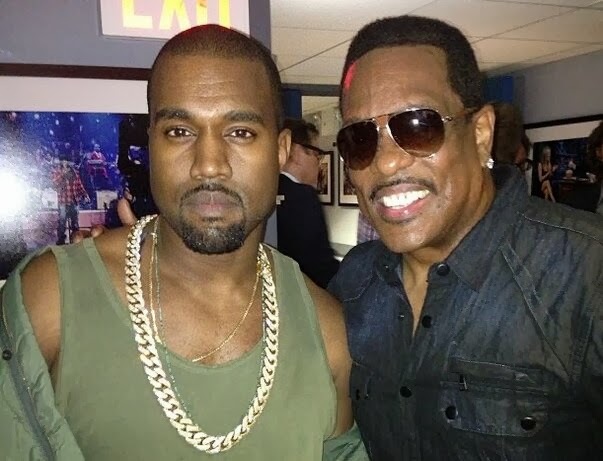 Charlie Wilson: Kanye and myself, we started already — Kanye is starting on a new record for me. Kanye is one of the greatest rapper/producers that we have. He’s a little controversial, yeah, but he’s still a genius at that in the studio. He wants to produce me, so we’ll see how that goes. He’s been asking for a while and I’ve just been busy. Real busy. I like Kanye in the studio. He’s very, very understandable about the music. When he wants to write something, put his finger on the pulse, he really do know how to do that. Now, when he don’t want to do that — don’t want to have radio records — he don’t do that either. Me, I’ll always love to have radio records.